The Pennsylvania Dutch Council, Boy Scouts of America was chartered in 1971 and serves Lancaster and Lebanon counties in south central Pennsylvania. The purpose of the Boy Scouts of America, incorporated on February 8, 1910, and chartered by Congress in 1916, is to provide an educational program for boys and young adults to build character, to train in the responsibilities of participating in citizenship, and to develop personal fitness. Over 100 community-based organizations throughout Lancaster and Lebanon Counties in south central Pennsylvania receive national charters to use the Scouting program as part of their own youth work. These organizations, which operate 214 local Scouting Packs, Troops, and Crews, have goals comparable with those of the Boy Scouts of America and include religious, educational, civic, fraternal, business and labor organizations, corporations, professional associations, and citizens groups. It is the mission of the Boy Scouts of America to prepare young people to make ethical choices over their lifetimes by instilling in them the values of the Scout Oath & Law. The Pennsylvania Dutch Council strives to offer quality Scouting programs, through Chartered Partners, to all youth in our service area. Cub Scouting. A family and home centered program for boys in the first through fifth grade. Boy Scouting. A program for boys 11 through 18 designed to achieve the aims of Scouting through a vigorous outdoor program and peer group leadership with the counsel of an adult Scoutmaster. Venturing. An active, exciting program for young men and women 14 through 21 built around five program fields of emphasis: advancement, high adventure, personal development, service, and special programs and events. Council Service Center. The Council Service Center is located at 630 Janet Avenue, Suite B-114, Lancaster, Pennsylvania. The Service Center serves as the clearinghouse for all information, program support, and unit/individual records. Our Scout Shop offers a full line of Boy Scouts of America merchandise including uniforms, equipment, literature, insignia, recognition items, craft supplies, badges, and Scouting accessories. 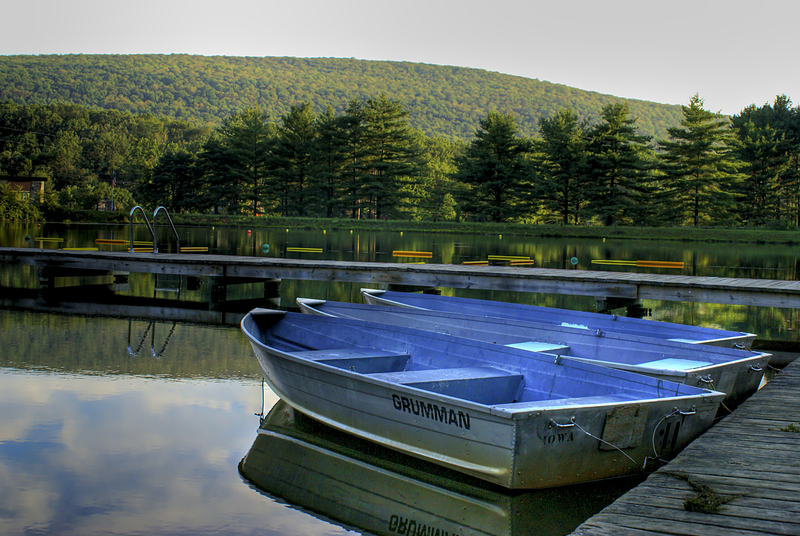 Bashore Scout Reservation: Bashore Scout Reservation is a 400 acre Boy Scout camp nestled in the foothills of the Blue Mountains of central Pennsylvania. Founded in 1947, Camp Bashore has earned a reputation for providing one of the Northeast Region’s finest summer camp programs. Bashore features miles of hiking trails, a 5.5 acre lake that offers sailing, kayaking, canoeing, rowing, and fishing, an Olympic sized swimming pool, Shooting Sports ranges that provide opportunities for rifle, shotgun, and archery shooting (3-D and traditional targets- unlike any course you’ve ever seen! ), a COPE course and an Indoor Climbing gym! Bashore offers programs for first-year Boy Scouts, experienced older Scouts, and even training for Adult Leaders- something for everyone! In addition to a summer experience, Bashore offers year-round camping opportunities. The camp maintains three cabins / lodges that can accommodate 22-40 persons. Cabins are equipped with double bunks and mattresses, propane stove, and are heated with woodstoves (firewood is provided, though re-stocking what you use is welcomed). Water is available from frost-free hydrants. On site are two campsites with Adirondack shelters, and many other campsite areas for primitive tent camping. Our Campmaster Corps offers programs to supplement your unit’s program such as Rifle and Archery, First Aid, CPR, Cooking, Orienteering and other skills. Some units choose us as a base camp while exploring off-site program opportunities. 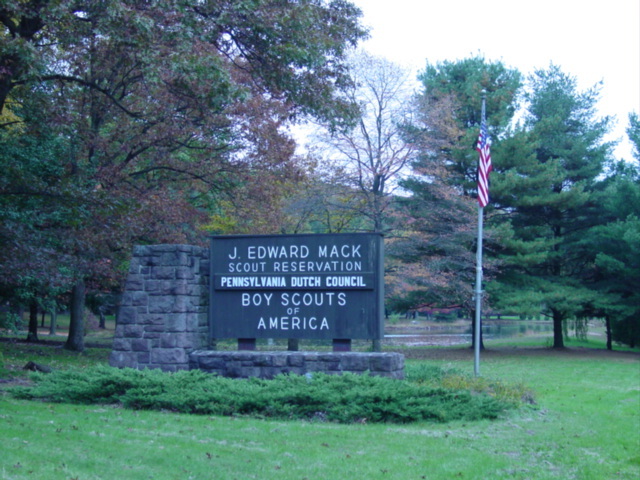 J. E. Mack Scout Reservation: Camp Mack is home to the Pennsylvania Dutch Council’s Summer Cub Scout Programs, a variety of District and Council activities throughout the year, and also the Training Center where most council adult leader training takes place. The J. E. Mack Scout Reservation was opened by the Pennsylvania Dutch Council in 1969 as a Boy/Cub Scout camp and in 1999 that the camp shifted towards a Cub Scout program emphasis to make certain that all Cub Scouts in Lancaster and Lebanon counties had a fantastic summer facility to have adventures that make memories and build friendships that last a lifetime. It is the mission of Camp Mack to provide everyone, both young and young at heart, the best outdoor experience possible. In addition to a summer experience, Camp Mack offers year-round camping opportunities. The camp maintains cabins that can accommodate a family or a pack. Cabins are equipped with bunk beds and mattresses, stoves, and running water. Throughout the camp there are a number of campsite areas for primitive camping. Our Campmaster Corps can offer program supplement for units or outside groups with prior arrangements. The Training Center at Camp Mack is available year round to Scout and non-Scout groups and is a great place to conduct training or a business or school retreat. To make reservations at either Bashore Scout Reservation or Camp Mack please contact the Pennsylvania Dutch Council, BSA at 717-394-4063.